In what is the best viral video of the year, the Ice Bucket Challenge has become a powerful fund-raiser for the U.S. national ALS Association. Combining social consciousness with the power of social media, the viral video sensation shows participants being dumped on with a bucket of icy cold water – who then challenge others to be dumped on or to contribute $100 to the ALS Association. Most of the challenges result with both the ice water followed by generation donations. From July 29 to August 15, the national ALS has received $6.7 million compared with $34,800 during the same period a year ago! The challenge was created to a former Boston College athlete, Pete Frates, who was diagnosed with ALS in 1012. He started the challenge and it quickly turned into a phenomenon embraced in social media. Check out the “ice bucket challenge” on social media and see some of the unique approaches to the icy bath. Start by discussing the power of social media. Have students provide examples of positive social media, and even a few negative examples. Discuss the various elements that made these examples go viral. Can these be replicated? 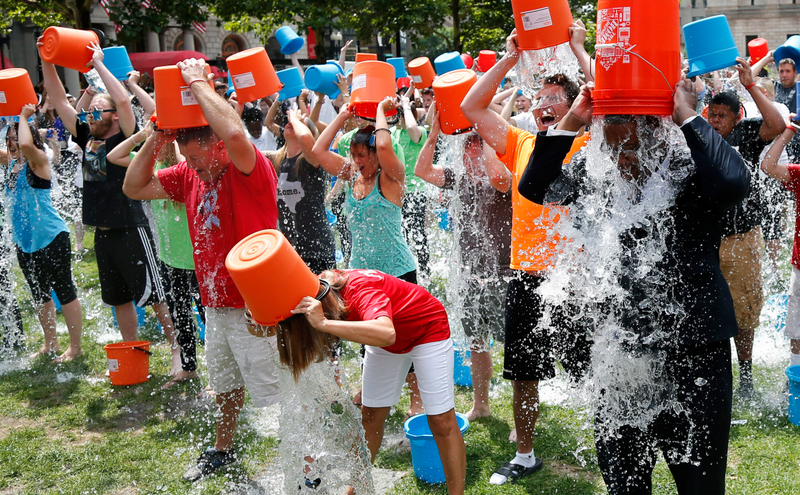 Poll students: how many had heard of ALS prior to the ice bucket challenge? After? What are the elements of this campaign that made it go viral? Divide students into teams. Have each team select a social issue, concern, disease, or public service area. Develop a potentially viral campaign for this given the aspects of viral campaigns previously discussed.